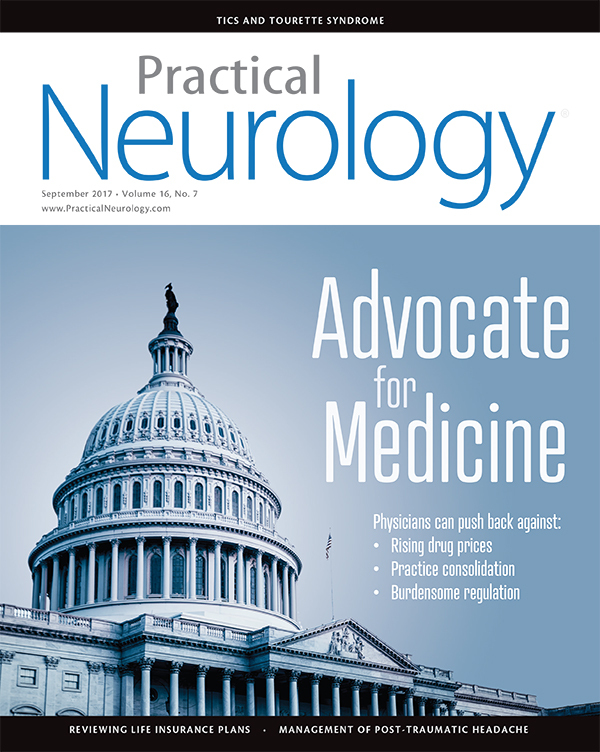 In a new video interview, Practical Neurology® Co-Chief Medical Editor Paul G. Mathew, MD hosts a discussion with Laszlo L. Mechtler, MD, and Joshua P. Klein, MD, PhD, about the role of neurologists in neuroimaging. 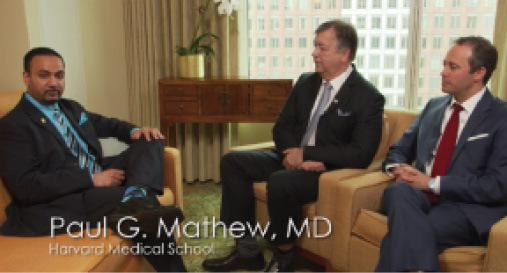 They also discuss radiology fellowships and the need for a radiology subspecialty in neurology. Click the image to read this issue. 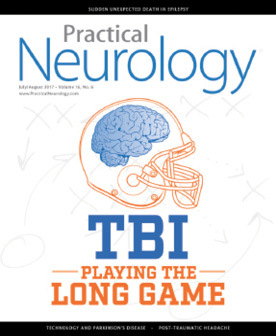 Despite limited options for the treatment of post-traumatic headache, some evidence suggests potential for select therapies. Recognizing the full spectrum of phenomenology of tics and various behavioral comorbidities is critical to diagnosis. The multiple sclerosis drug market offers a snapshot of a growing problem. Physicians should speak out on behalf of the specialty and their patients. In the rapidly changing health care economy, increasing regulation and the expanding influence of third-party payers are diminishing the physician’s role.